Conceived by Hate. Born in Space. 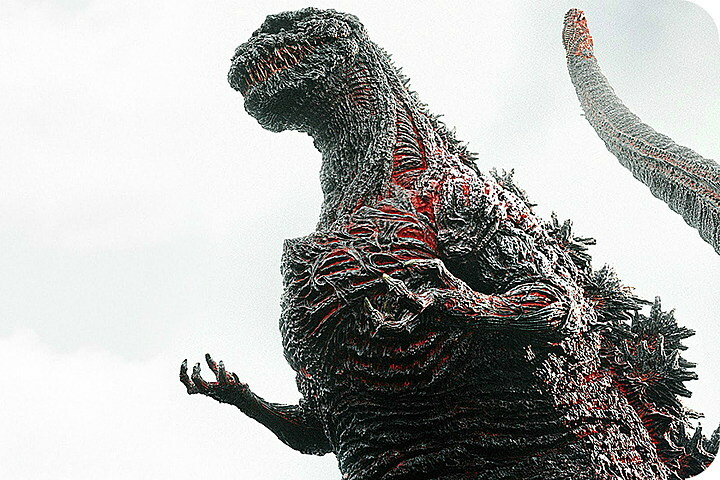 How Godzilla’s Greatest Nemesis Went From Villain to Hero. Here you have a post about Japanese Pop Culture in America. It is safe to say, without fear of contradiction, that King Ghidorah is the greatest foe Godzilla has ever faced. After Godzilla and Mothra, King Ghidorah is the most popular monster in Toho’s stable of monsters. 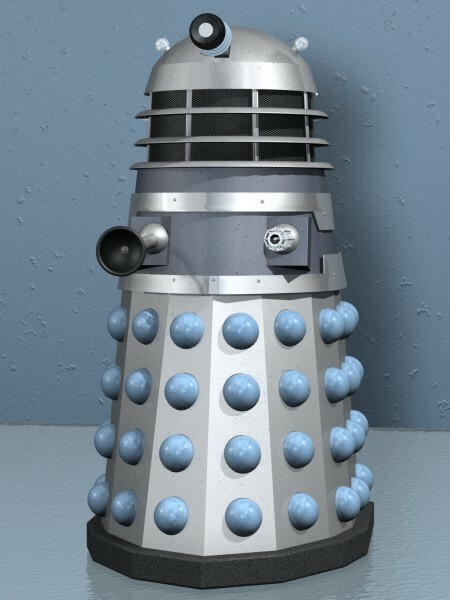 But who or what exactly is this three-headed menace from space? What makes him so popular? And how, if at all possible, can we straighten out the mess that has become King Ghidorah’s timeline? History Vortex has the answer for the last question ; King Ghidorah has appeared in eight Toho fantasy films. Five times throughout the original or Showa Godzilla series, twice in the recent or Heisei Godzilla series and twice in the Mothra series of the 90s, thus giving Ghidorah five separate timelines or life cycles. 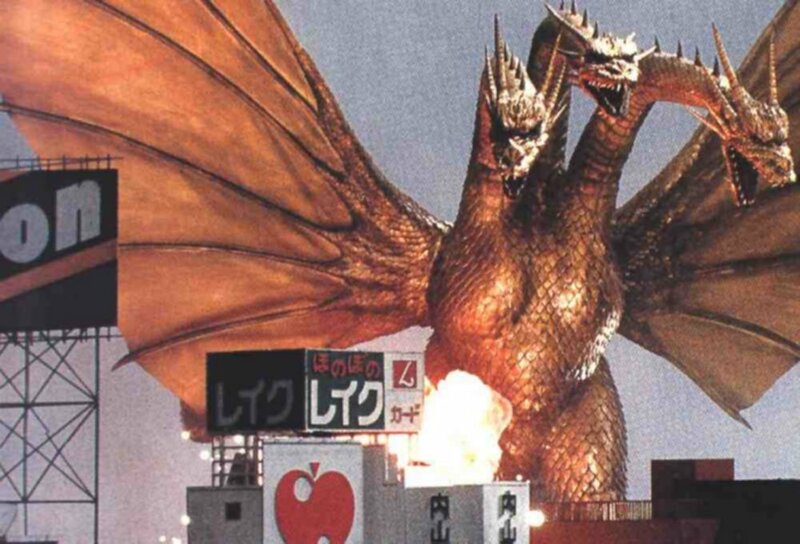 Ghidorah was the brainchild of Eiji Tsuburaya, Toho’s special effects maters and creator of Ultraman. Having pitted Godzilla against an American monster (King Kong) and Japan’s second most favorite monster, Mothra, Tsuburaya felt that it was time to give the King of the Monsters a more interesting foe to fight. 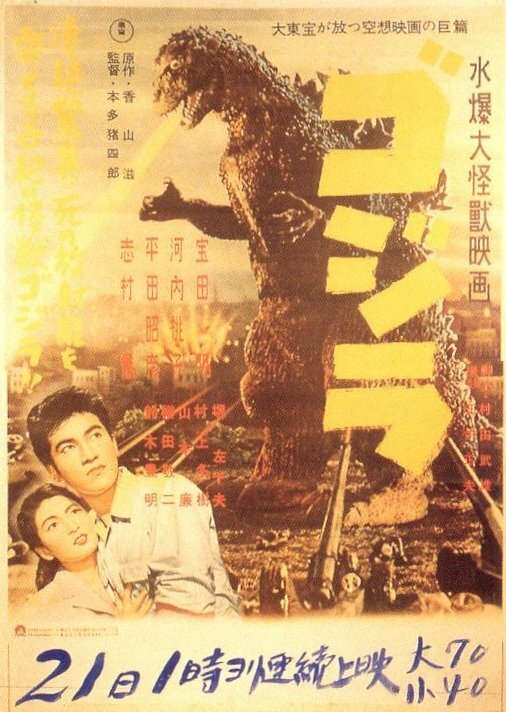 As the Toho’s invasion-from-space formula worked very well at the box office, as seen by the release of The Mysterians in 1959 and Battle in Outer Space a year later, the decision was made to introduce this premise into the Godzilla series, which was Toho’s most profitable venture at the time. As a guide Tsuburaya chose the exotic form of a Chinese dragon, a concept he was familiar with since Atrogon (1963), Manda being based on ancient Chinese/Japanese drawings. Ghidorah’s first life cycle began in the original series of Godzilla films with Ghidrah, the Three-Headed Monster (1964). Spawned from a fiery meteor which had crashed in Kurobe Gorge, the three-headed terror lays waste to Japan’s countryside until finally being defeated and driven back into outer space by the combined forces of Godzilla, Mothra and Rodan. It is not until King Ghidorah’s second outing, however, that we learn of the true nature behind the three-headed beast. Controlled by the inhabitants of Planet X, it is in Monster Zero (1965) that we learn of Ghidorah’s true connection to his “invasion” of Earth from the previous film. The three-headed terror is a tool of his alien masters to control Earth (for Planet X is in desperate need of water), but once again is defeated by the combined efforts of Godzilla and Rodan who drive him from the Earth. Editor’s Note: It is suggested that the aliens on Planet X were responsible for Earth being bombarded by cosmic rays at the opening of “Ghidrah, the Three-Headed Monster,” as well as Princess Salno‘s belief that she was a Martian (Fifth Columnists aliens trying to help? ), and King Ghidorah’s arrival in the meteor shower. While King Ghidorah’s inclusion in the Godzilla world would prove immensely popular, it should be pointed out that Ghidorah’s actual on-screen appearance is very limited in the first two movies, occupying less than half the screen time of Godzilla and the other monsters. The reason for this is very simple and rests in the inventive personality that was Eiji Tsuburaya. Tsuburaya discovered that the Ghidorah costume was immobile. Though believing that the concept of a three-headed creature would be a more interesting foe for Godzilla to face, the fact was that the costume was very hard to operate, both from within for the man in the costume, and for the special effects crew from the outside. The solution was to limit the screen time given to Ghidorah. 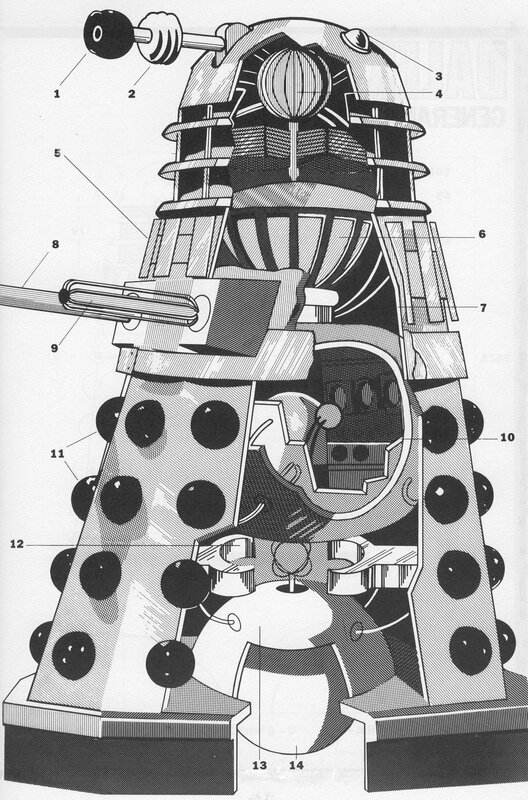 This problem would later be solved by the use of small static props, but at this point limiting the use of the costume was the only choice open to Tsuburaya and his crew. 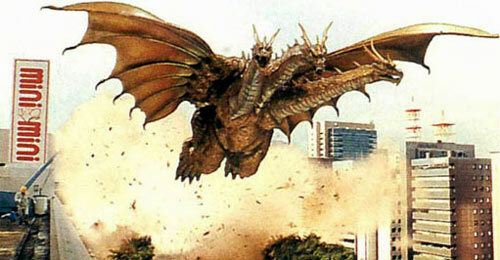 Ghidorah is not seen again, at least chronologically, until years later when intelligent cockroach-like aliens from Nebula Spacehunter M use Ghidorah and Gigan to destroy Earth’s defenses and secure the planet for themselves. In Godzilla On Monster Island, a.k.a. Godzilla vs. Gigan (1972), this time it is Godzilla and Angilas that team up to confront the two space creatures. Editor’s Note: We are listing Ghidorah’s adventures chronically in regards to Ghidorah’s life cycle. The actual release orders for the films in America are: Ghidrah, the Three-Headed Monster (1965), Destroy All Monsters (1969), Monster Zero (1970), and Godzilla vs. Gigan (1972). The Meteor-Man Zone series were produced in 1973 but never released to American television. Of course Ghidorah’s last great standoff with Godzilla would come in the Toho classic kaiju film, Destroy All Monsters (1968). In that film, set in 1999, the Kilaaks, metal-based creatures that can exist only in extreme heat, hope to manage the Earth’s resources for themselves. Having first gained but then lost control of Earth’s monsters, the Kilaaks send in King Ghidorah as the ultimate weapon in an attempt to destroy the Earth. Unfortunately for them, Ghidorah is no match for the combined forces of Godzilla, Rodan, Angilas, Mothra, Spiga, Gorosaurus, and Minya. After a fierce battle, the three-headed monster is finally killed. So ends the destructive path of Ghidorah’s first life cycle. Ghidorah’s second life cycle would be a single outing in 1991’s Godzilla vs. King Ghidorah. Having revised the franchise with Godzilla 1985 (1984), Toho executive producer Tomoyuki Tanaka decided to return to the formula of having Godzilla battle another monster in each film. 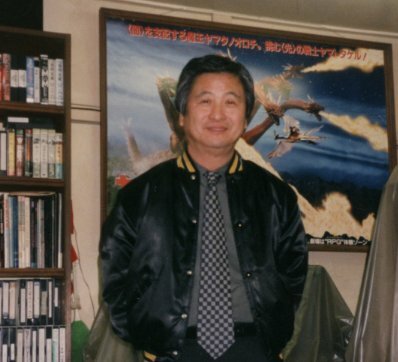 Since 1989’s Godzilla vs. Biollante preformed poorly at the box office, Tanaka felt that reintroducing an older, and popular, kaiju would help boost public interest in the Godzilla series. So it was that the King of the Monsters would be pitted against his old nemeses; King Ghidorah. However, unlike his original incarnation, Ghidorah would no longer be a creature from space, but a bio-engendered weapon created by futurians from the 23rd century as a means of destroying Japan in the 20th century. Using the atomic explosion that first created Godzilla back in 1954, the futurians expose three small creatures called Dorats to the radiation, thus creating King Ghidorah. The futurians control Ghidorah but fail in their attempts to crush the Japanese sprit. Godzilla soon appears and defeats King Ghidorah, decapitating the three-headed beast’s center head and shredding his wings for good measure. Godzilla then turns his rage on the futurians, and continues his reign of terror across Japan. Emmy, a former compatriot of the futurians who wanted no part in her comrades’ nefarious plan, returns to 2204 to mechanize Ghidorah’s mutilated body. Returning in 1992 with Mecha-King Ghidorah, Godzilla’s rampage is finally ended. However, Mecha-King Ghidorah is so damaged from his fight with Godzilla that it is left to rust at the bottom of the Japanese Sea. Later, the United Nations Godzilla Countermeasure Center (UNGCC) would use the technology from Mecha-King Ghidorah to construct Mecha-Godzilla. Ghidorah’s third and fourth life cycles would appear in the colorful but not overly popular Mothra film series produced by Toho after Godzilla vs. Destroyah (1995). In Rebirth of Mothra (1996), the Twin Fairies of Infant Island, Lora and Moll, must stop their evil sister Belvera from controlling the world. To help in her plans Belvera manipulates a lumber company into unearthing the secret chamber of Death Ghidorah (called Desghidorah in the Japanese version). This Ghidorah, who walks around on four legs (earning the nickname in some fan circles as “Dog Ghidorah”), is capable of turning Earth’s green forests into barren desert. Death Ghidorah does scant damage in the film, except to set the Hokkaido countryside on fire, and is eventually defeated by the combined efforts of Mothra and her newly hatched larva, which transforms into a new male Mothra after Ghidorah kills his mother. The new Mothra once again traps Death Ghidorah in its secret chamber, buried for all time. In Mothra 3: Invasion of King Ghidorah (1998), Ghidorah returns as the three-headed terror not seen since his first series of films. Once again a space monster, Ghidorah arrives on Earth in a meteor shower. Flying around Japan, Ghidorah begins “beaming up” all of the Japanese children and trapping them inside a large bubble-like-dome (where acid eventually dissolves their bodies allowing Ghidorah to absorb their life-force). Lora and Moll discover that Ghidorah was responsible for the extinction of the dinosaurs. Able to transform itself into various types of creatures, Mothra travels back to the Jurassic Age and defeats the younger form of Ghidorah. Part of the creature survives however, regenerating and reappearing in the present, where it continues to attack children. Mothra, trapped in the past, is cocooned by prehistoric Mothra larva, only to reemerge in the present, powered up with armor! Now stronger in “powered up” form, Mothra finally defeats King Ghidorah, blasting it into millions of bits. Ghidorah’s fifth and final life cycle, at least to date, sees the three-headed monster once again pitted against his long time foe; Godzilla. This time, however, it is Ghidorah who is the savior of mankind. Godzilla, Mothra, King Ghidora: Giant Monster All-Out Attack (or “Super Duper All-Out Really Super Keen Monster Fight” as some fans call it) is Toho’s 25th entry in their Godzilla series, not counting the American Godzilla film, popularly known as GINO (Godzilla In Name Only) in many fan circles. Produced in 2001, the story is about a rampaging Godzilla, possessed by the spirits of Japan’s war dead, destroying Japan. Three “protector” monsters confront him. These monsters are portrayed as forces of nature and include, in order of appearance, Baragon, Mothra (first larva and then adult) and finally King Ghidorah. Not surprisingly, Godzilla quickly destroys each monster in turn, but each time they are defeated, the monsters’ life-force enters the next creature. Therefore, when Baragon is destroyed its life force enters Mothra, and when Mothra is killed Ghidorah awakes from his underground sleep (actually Ghidorah is awakened before Mothra is killed breaking the continuity, but hey, why bother with continuity, this is a Toho film!). Confronting Godzilla but unable to stop him (Godzilla eventually incinerates Ghidorah), Ghidorah channels the combined life forces of itself, Baragon, Mothra and into Godzilla, weakening him to the point where an attack by the Self Defense Forces (from within Godzilla itself, via a swallowed mini-sub) destroys the King of the Monsters. Ghidorah however is once again dead, and all that is left of Godzilla is his beating heart sitting at the bottom of Tokyo Bay.